A chilly evening necessity. This traditional quebec drink made from scratch is good for what ails you. Back in the day, after a big caribou hunt, a custom started to drink the fresh blood of the animal to give thanks and take in all the nutrients to give them energy. That tradition continued with a twist when hunters and trappers added alcohol into the bloody drink. In more modern times the caribou blood is replaced by red wine and spices. Think of it as a mulled wine with a kick. This drink makes you want to sit back, lean against a log and watch the fire slowly burn away into the night. As the evenings start to get cold and especially throughout winter, keep this on the edge of the stove or grill to keep warm and share with the rest of the crew. It truly warms you to the core. It's powerful stuff, so keep it as a sipping drink to share. Place all ingredients in a pot over medium heat. Cook until maple syrup is completely dissolved and the liquid is hot, but not boiling. Keep warm on stove until ready to serve. 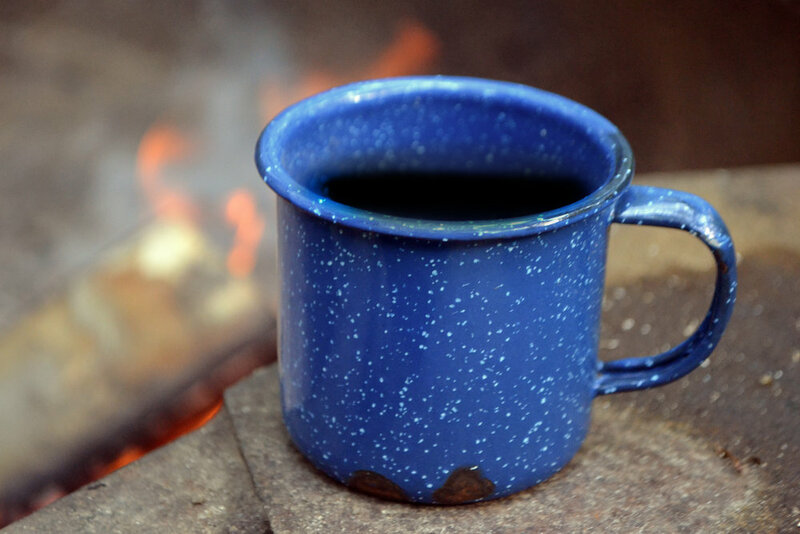 Pour into your favourite camp mug and enjoy in front of a warm fire.